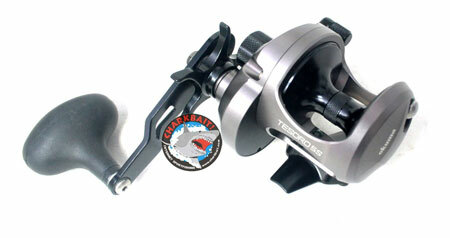 Okuma has begun shipping the smallest sized Tesoro. Neat little reel, just a tad smaller than the 10...about 7 ounces lighter! Still holds 350 yds of 20# mono, 40# braid at say 300 yds should allow for a fair topper of mono. Should be a very good reel for a lot of applications, certainly an albacore killer, schoolie tuna, yellowtail...very good casting reel.